This week UN member states are meeting in New York for the fourth of six rounds of formal consultations on the Global Compact on Migration with the aim of finalizing the text in advance of the UN General Assembly in September 2018. The United Nations set out ambitious plans to create more effective and humane collaboration on migration and refugees with the New York Declaration adopted by its Members States in September 2016. It was the starting point for talks on two compacts, the Compact on Safe, Orderly and Regular Migration and the Compact on Refugees, to be adopted in 2018. Caritas is concerned about the wide gap between the Compacts’ intentions and the current policies and practices on the ground. They must ensure that no one is left behind, by creating legal pathways to move in safety and dignity for all migrants and refugees. Shared responsibility in supporting refugees fleeing conflict, climate change and poverty must also be achieved. 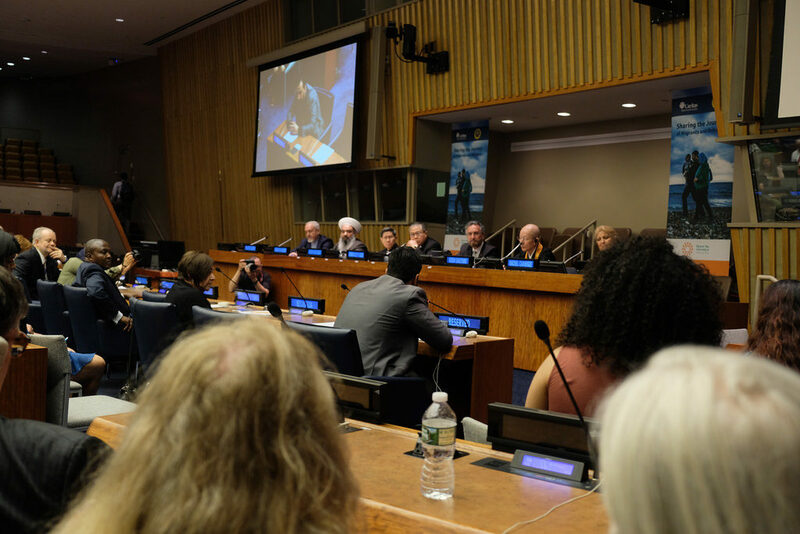 Together with the Permanent Observer Mission of the Holy See to the UN Caritas Internationalis recently co-hosted an interfaith conference with Buddhist, Jewish, Muslim and Christian leaders at the United Nations in New York ahead of critical talks on Global Compacts on migration and refugees. Together the leaders called on countries to respect the human rights and dignity of every migrant and refugee and ensure they have safe passage and legal protection in inclusive societies. The Sharing the Journey of Migrants and Refugees: An Interfaith Perspective on the Global Compacts event included the Venerable Gijun Sugitani, Rabbi David Rosen, Sheikh Mohamad Abou Zeid, Metropolitan Emmanuel Adamakis and Cardinal Luis Antonio Tagle and was chaired by Archbishop Bernardito Auza, Apostolic Nuncio and Permanent Observer of the Holy See to the United Nations. Leaders from different faiths recognize that responding to the movement of displaced people through international cooperation and shared responsibility is one of the most complex challenges of our generation. 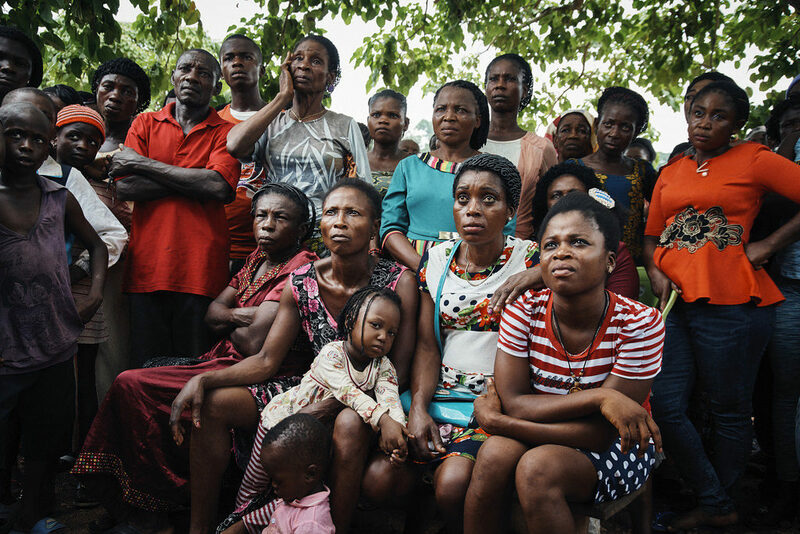 Reverend Rachel Carnegie, co-executive director of the Anglican Alliance, said faith-based organizations are well-placed not only to support migrants and refugees but to help forge a different global response to the mass movement of people. “This is less about subtle negotiations of words and phrases, and more fully about real people’s lives – embracing with great vision this once-in-a generation opportunity to shape cooperative action,” Rev. Carnegie says. In New York refugees shared moving personal stories of how they had fled violence and conflict to create a better life. Most of the time they had no choice. Moustafa telling his personal migration story at the UN on 3 May 2018. Moustafa Aldoori left Iraq with his family and came to the US in 2008 after spending two years in Syria. He had been kidnapped in his homeland for nine days and feared he would be killed. “We were left with no choice but to leave or die,” he said. “It was a very hard decision to make.” A Muslim, he now works for Catholic Charities in New York. Caritas urges countries to address human trafficking, slavery, and labour and sexual exploitation, in particular of women and children. The Global Compacts must similarly address the exploitation of migrants who are deprived of their rights. It is about offering compassion, dignity and hope. Pope Francis launched Caritas’ Share the Journey campaign in September 2017 to create opportunities for encounters between migrants and local communities around the world. He outlined our shared responsibility to welcome, protect, promote and integrate migrants and refugees at all stages of the journey through the Twenty Action Points for the Global Compacts. “In a spirit of compassion, let us embrace all those fleeing from war and hunger, or forced by discrimination, persecution, poverty and environmental degradation to leave their homelands,” says Pope Francis.